Safe Boating! - Varen doe je Samen! Boating is freedom. Away from the shore. You can fully enjoy being on the water in the Netherlands with all its many forms of water sports. But the waterways can be busy since they are used by both commercial and recreational vessels. Rules have been made to ensure safety on the water, and each captain must know these rules. The rules can be found in the Inland Waterways Police Regulations (BPR) and have been bundled in the ANWB's Water Almanac 1. They can also be downloaded as an App. The project ‘Safe Boating.eu' promotes a safe, cooperative use of the waterways by commercial and recreational vessels. There are ten 'Junction booklets', which describe the most important waterway junctions in each region and contain maps showing you the safest and fastest way to navigate in these junctions. You can download these booklets for free on this website you can also download the Safeguider App available in google playstore and in Appstore, with these junctions also on www.safeboating.eu. Click at the image to open the Safeguider map. If you prepare yourself for your trip, you'll enjoy yourself much more! These brochures were created together with the Covenant partners of the 'Varen doe je samen!' 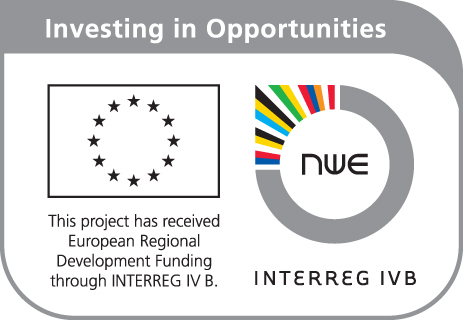 project and for the European funded INTERREG IVB project Numericanal as SafeBoating.eu.